Cooking with a grill has many advantages. For one, grilling makes the food flavorful, and admittedly some foods are better off grilled. 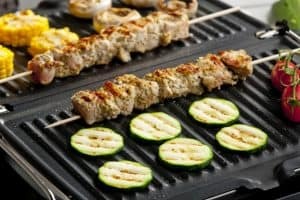 Cooking using an electric grill is easy and even convenient as long as the cook has the best grill to use and uses the right temperature. However, not all are knowledgeable about how hot does a grill get, and end up spoiling the grilled food. For those who would love to whip up some dishes with an electric grill, here are some tips. 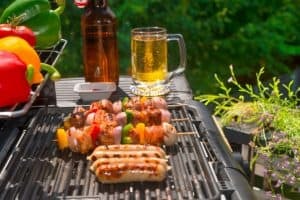 What Are the Different Kinds of Electric Grills? 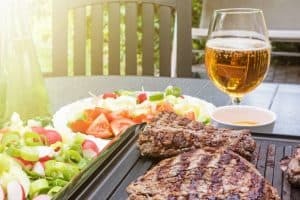 One of the most popular types of grills is the electric grill and using one has many benefits. For one, it is easy to use as the cook only needs to plug and set the temperature to the required level. Plus, electric grills are more economical than gas-fired ones. Electric grills are safe as well since they do not emit fumes, unlike wood, gas and charcoal grills. They can also be used both indoors and outdoors. 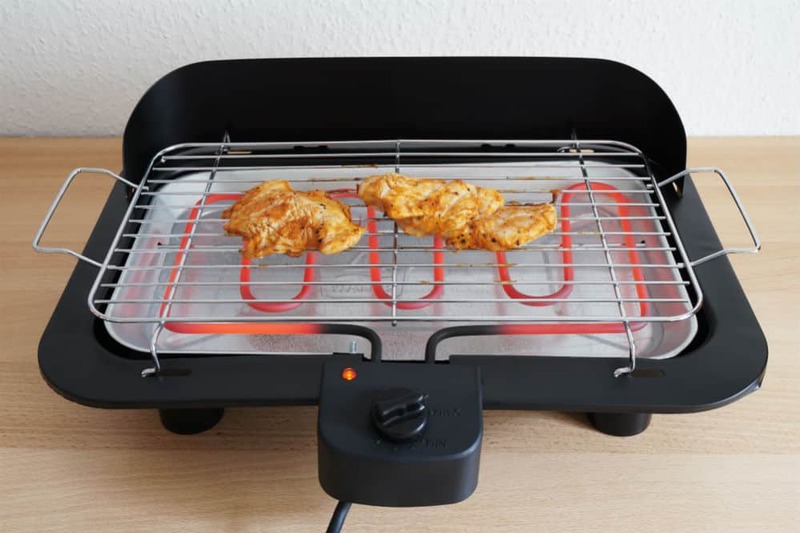 What many people fail to realize is that electric grills come in different kinds as well, which we will discuss. The outdoor grill shares many similarities with the gas-fired and charcoal grills except that they need to be plugged into a power source. It is, however, easier to use than the charcoal or gas-powered grills because all one needs to do is plug it and set the temperature. It does not emit fumes either. The indoor grill, as its name suggests, was designed for use inside the homes. 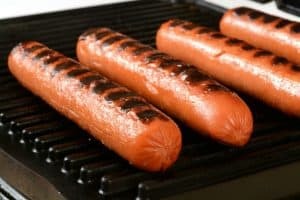 This is the perfect grill to choose if one lives in small apartments or condominiums where using outdoor grills is prohibited. They come in different sizes so one can easily fit them inside their homes. Those who lead busy lives but likes grilling food often are better off buying the indoor electric grills. Many people are confused over the difference between an electric indoor grill and electric griddles. Griddles have a smooth and flat surface, unlike the electric grills that have raised parts, which make draining of the liquid an easier task. The best foods to cook in an electric griddle are those that require flat surfaces such as bread and certain vegetables. 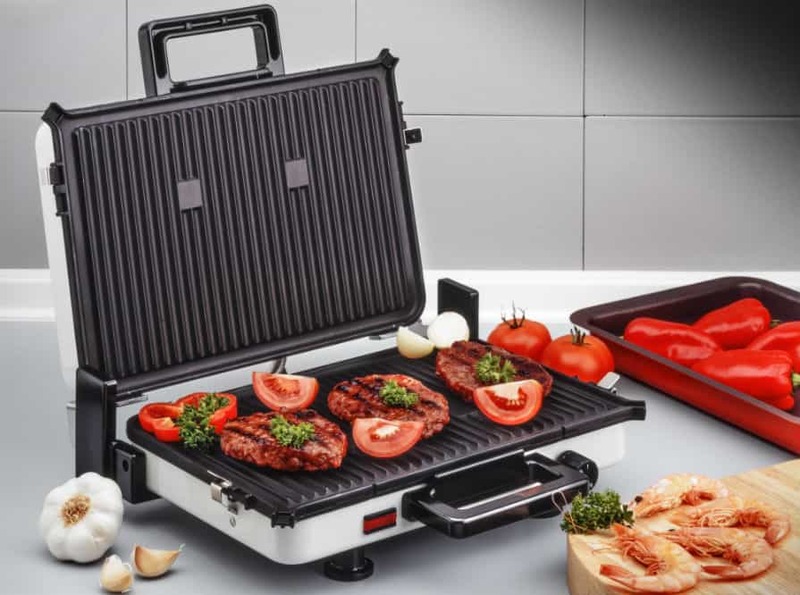 It can also be used for cooking meat, but the better cooking device for any food that emits grease is a grill. The electric smoker is perfect for meat that requires slow cooking for the flavor to come out. This is great for those who love to smoke their foods for flavor. Electric smokers also come in small or large sizes, which makes it a versatile cooker. How Hot Does a Grill Get? You must have heard some cooks say that the secret to great cooking, aside from the ingredients used, is to use the proper temperature. Using excessively high heat on meat might harden it, for example. Additionally, knowing the preferred degree of doneness is important to achieve your preferred taste and texture for the food. One must also understand how heat works in cooking to be able to cook well. Many people make the mistake of using the same temperature for all kinds of dishes and often end up wondering how they can improve the taste of their cooking. Some use high heat temperature and end up with food that has the texture of dried leather. The low setting is anywhere between 250 to 275 degrees Fahrenheit. The medium-low is at 330 degrees Fahrenheit. The medium setting is at 350 degrees Fahrenheit. The medium-high is 400 to 450 degrees Fahrenheit. The high setting is anywhere between 500 to 650 degrees Fahrenheit. We can also add the freaking hot temperature which is anything beyond 650 degrees Fahrenheit. Experts say it takes 12 seconds to reach the low temperature, eight to 10 seconds for medium-low, six to seven seconds for medium, and four to five seconds for medium-high. Surprisingly, it only takes a second or two to reach the high settings. What to Cook on Which Temperature? One has to know what food to cook using a particular temperature setting. This is the secret to achieving great texture and flavorful taste when grilling. Failure to match the temperature and cooking time to the food might make the dish taste less flavorful than it should. For example, beef steaks should be cooked in 130 degrees Fahrenheit if one wants it rare, 135 degrees Fahrenheit if medium rare, 145 degrees Fahrenheit if medium cooked, and 160 degrees Fahrenheit if medium well. Likewise, beef roasts should be cooked in 130 degrees Fahrenheit for rare and medium rare, 145 degrees Fahrenheit and 160 degrees Fahrenheit for medium and medium well, respectively. Lamb roasts, on the other hand, should have 145 degrees Fahrenheit for settings for medium done and 160 degrees Fahrenheit for medium well. Make sure to pre-heat the grill before starting to cook to ensure that the cooking device reaches the correct temperature. 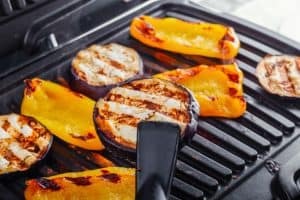 Pre-heating is also a good way of killing the bacteria that may be lurking on your grill since the heat would finish them off. Plus, pre-heating also prevents the food from sticking on the grill. 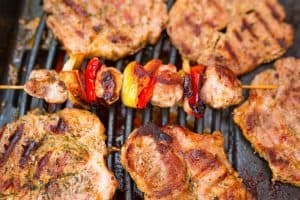 Ever wondered why your meat often sticks to the grill? This is probably because you are not pre-heating the grill and instead placing the food immediately into it after turning the cooker on. 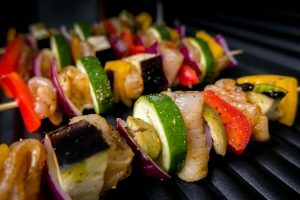 Another way of preventing the food from sticking on to the grill is to grease it first before use. Take some oil and brush it on the grill before placing the food for cooking. Using a kitchen thermometer is one great way of ensuring that the insides of the meat are already cooked. 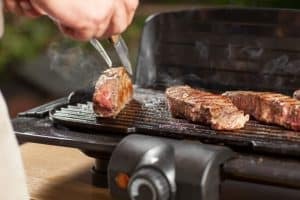 Many people make the mistake of checking only the exposed side of the meat before serving the grilled meat and later realize that the insides are still raw. To avoid this, one can invest in a thermometer and use it to check the temp of the inside of the meat, especially for thick slices.